Direct every detail of your wedding photo book - the photos, layout, paper and cover. For the ultimate presentation choose Layflat Lustre paper, pearl end pages and a Deluxe cover. Show your appreciation with a personally designed card featuring your favourite photo or a group shot of all the guests on the front and inside of a Momento greeting card. Have fun designing your whole suite of wedding prints - invitations, name places, a guestbook, your wedding album, parent albums, thank you cards, the honeymoon book and more! All of which can be perfectly themed and coordinated using the Momento classic or modern wedding embellishment art. To keep costs manageable many brides and grooms are now understandably choosing to DIY some smaller projects, such as invitations. Learn how by watching this video. Gift a copy of your wedding album to parents, bridesmaids and groomsmen. 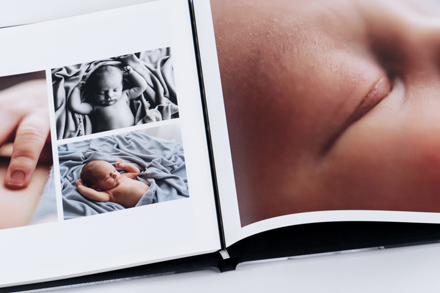 Select our premium satin paper and a printed photo cover to keep them affordable but bespoke. Whether they're for your engagement party or big day, our Modern Wedding embellishment pack makes it easy to design cards that will impress your guests. Also use them for menus, wedding programs and the Order Of Service. Our small greeting cards are the perfect size to slip inside your invites. Decorate the cover with your photo and some Momento embellishments, to keep a theme running through your wedding stationery. Share your news in a truly personalised DIY greeting card. Choose our art paper option to deliver it with a soft touch. Tell your own love story by printing photographs from a professional engagement shoot, or some selfies, in a photo book where guests can see your bond, and leave a special message. Your celebration of love doesn't stop with the wedding album! Make up a photo book of your honeymoon holiday snaps as a one-off first anniversary present. Decorate it with stylish backgrounds by downloading the classic and modern wedding embellishment packages from the Updater Panel in the software. Style them with elegant typography, and designer embellishments available in the Momento software, and we'll deliver them to you in a premium envelope ready-to-send. Relive your wedding memories by gifting your partner a revamped bridal album as an annivesary gift. Also include photos from your married life and a special message of love. Choose from four premium paper options. A hinged paper with a subtle lustre that has a similar feel to traditional photographic paper. This paper has a subtle lustre with the look and feel of traditional photo prints. Finely textured matte stock with warm cream tone, similar to watercolour paper. A beautiful, premium option. A silky smooth Japanese paper that makes colours pop and blacks deep. This is a classic premium paper with a slight sheen that works beautifully with any photos or project.